Paul Heathcote's Italian-inspired roast chicken recipe is a fantastic family-pleaser, and would be a wonderful centrepiece for any Sunday roast or family get together. 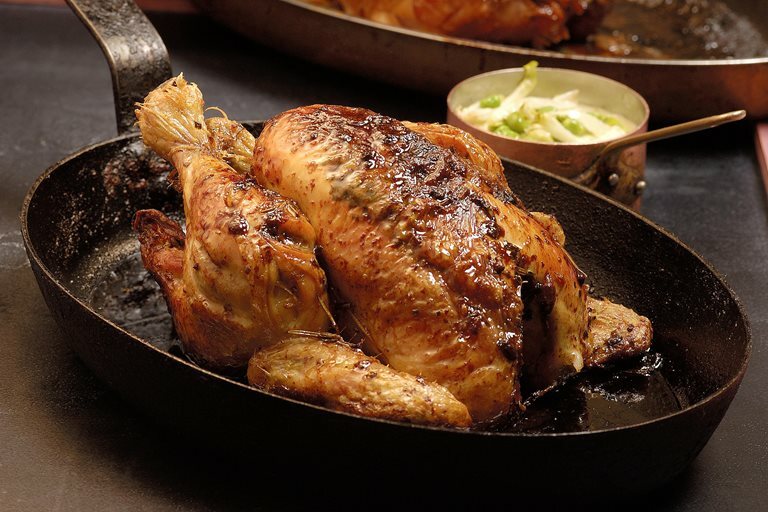 Given its quick preparation time, the roast chicken could also be made for a hearty midweek dinner. This flavourful roast chicken is accompanied by buttered peas in this recipe, but feel free to substitute the peas with your own favourite sides. To prepare the chicken remove the parson’s nose and trim up any excess fat.